At a hastily called press conference in Cupertino, Calif., Apple CEO Steve Jobs on Friday said that all iPhone 4 users would receive a free case to help fix the antenna issue some users are experiencing with the device. “A lot of people have told us the bumper solves the signal strength problem… why don’t you just give everybody a case? Okay, great, let’s give everybody a case,” said Jobs during his presentation. 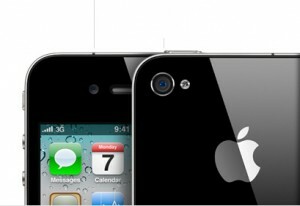 Jobs said that the free case will be giving to everyone purchasing an iPhone 4 until September 30. If you already purchased a case, you will get a full refund. “We’ll re-examine this is September and decide whether to keep going or maybe we’ll have a better idea,” said Jobs. One problem that did come up is that Apple can’t manufacture enough cases for everyone. So, they are offering users the opportunity to choose a case from other manufactures. The option will be available late next week on Apple’s website. Many Apple watchers predicted a full recall of the iPhone 4 or that Jobs would introduce a redesigned iPhone at today’s event. Jobs gave no indication that the iPhone would be redesigned. During the press conference, Jobs showed how the antenna problems are not unique to the iPhone 4. He showed the issue affecting the Blackberry Bold 9700, HTC Droid Eris and a Samsung phone. Macworld has a full live update of the press conference.